Wait Time Measurement is NOT Enough! CrowdVision is deployed in many airports to measure how long passengers are waiting. This is important data … but it is NOT enough. Wherever there is a problem there must also be a solution. Waiting is only the problem. So, what is the solution? Well to answer that we need to understand what is causing the waiting. 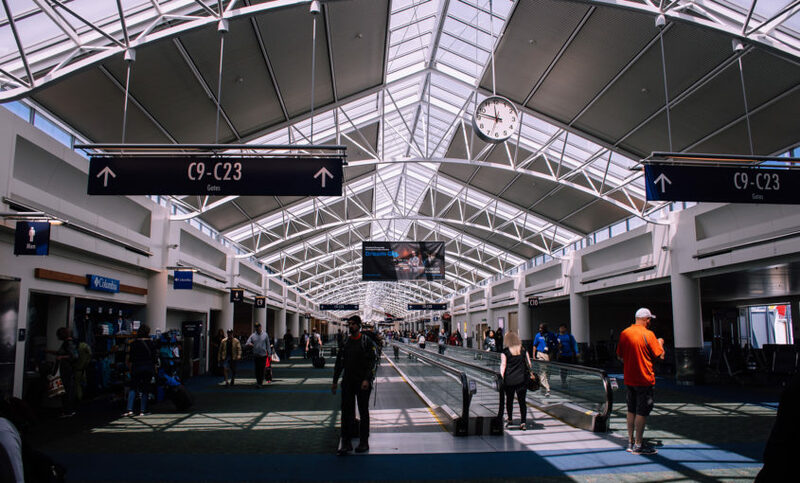 There are several different types of waiting in airports, arising for different reasons. Firstly, the imposed waitingcaused because people are entering a mandated processing stage in their journey. Examples are the processes for airport check-in, security screening, boarding gate checks and border control. These are the regulated processes needed to ensure air travel is safe and secure and that Government immigration policies are enforced. Secondly, the tedious waiting, where we have to wait for something important to complete our journey – a bag from a baggage carousel, a terminal transfer bus, or a train or taxi. And finally, the optional waiting as we choose to become customers of service offerings, such as food & beverage, retail and increasingly also beauty or leisure services. Here again we may find ourselves waiting but at least these waits are optional and there is some kind of prize at the end of them. Luckily the solution to all this waiting is simple! It’s the classic challenge of matching supply with demand. But this time the demand is highly variable. On the departing journey, passenger demand varies depending on whether public transportation is running well, roads are congested, weather is bad and what time of year it is. On the arriving journey, demand varies depending on air traffic operations, weather events, the sequencing of plane arrivals on a runway and gate allocations. On the transfers journey, there is the added complication not only of when planes arrive but how well inter-terminal transfers are scheduled and how effectively transfer security is resourced to keep passengers moving. Understanding passenger demand is critical. That means measuring in real-time the arrival profile of passengers and passenger flows into and through the airport, and also using historic data to better forecast future demand. If you have an accurate view of demand, you can then start solving problems, optimising flows and removing waiting. Once you know you are expecting 10000 passengers on Tuesday next week or 1000 passengers in the next hour or even 100 passengers in the next 10 minutes, you can start to make plans and allocate resources to deal with that demand. If you have the right planning assumptions (based on real data!) about processing rates per member of staff, security lane, e-gate or point-of-sale then you can create staff rostering and asset allocation plans that will actually match the demand. Then you won’t allocate an airline 50% more check-in desks than they need. You won’t open 7 security lanes when you need 9. You won’t send your team on a break just when peak demand is imminent. This is when you start to have solutions. It’s critical to measure the supply and utilisation of assets and people. Plans are important … but they are rarely actually implemented. The only sure way to create great resourcing plans and then ensure they are implemented in practice is to measure how many airline staff are actually checking passengers on a particular flight, how many security lanes are actually operating, how many immigration officers are actually processing passengers, how often the transfer bus is actually turning up, and how long transactions are actually taking. It is unfortunate that the majority of airports still go to the technology market looking to buy “queue measurement” or “wait time measurement” systems, rather than much needed “solutions to the waiting problem”. Measuring wait time is not enough. It is merely measuring the problem. It is not measuring demand for, or supply of, passenger processing services. It is not enabling airports and their partners to match supply with demand to keep people moving. Instead it is essentially accepting that its OK to keep people waiting, as long as you can measure it!! Thankfully, the more forward-leaning airports, many of whom CrowdVision is proud to work with, are now invested in measuring passenger demand, asset and staff supply, so that waiting can be engineered out of the passenger journey. If you are interested in a demonstration of CrowdVision’s solutions to the waiting problem, please get in touch.